Create a sleeping area that is not only calming, and relaxing, but it will showcase your personality on display. 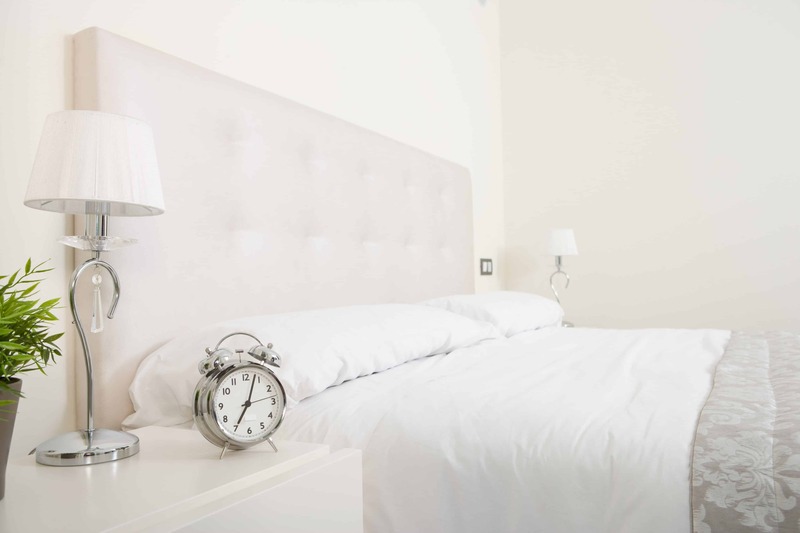 Having a white bedroom may cause you to think you cannot showcase your personality since the color white is neutral. However, having a white bedroom is never boring it is actually the contrary. Having a white bedroom gives you room to expand on what other colors and decorative ideas you can use to bring the space to life. The following soothing white bedrooms with a twist will make you reconsider the color of your current bedroom décor. Just because a room is neutral does not mean it is boring. It simply means the space is in a calming state. In order to keep it this way, we recommend using neutral tones just as different shades of gray to maintain the beauty of the white bedroom. Consider using darker gray for pops of neutral hues that are a bit bolder. 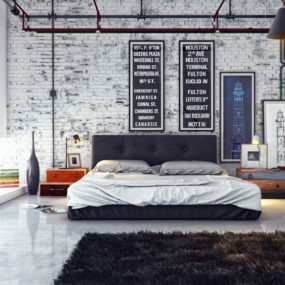 As the title states, this is an article on how to decorate a soothing white bedroom but with a twist. 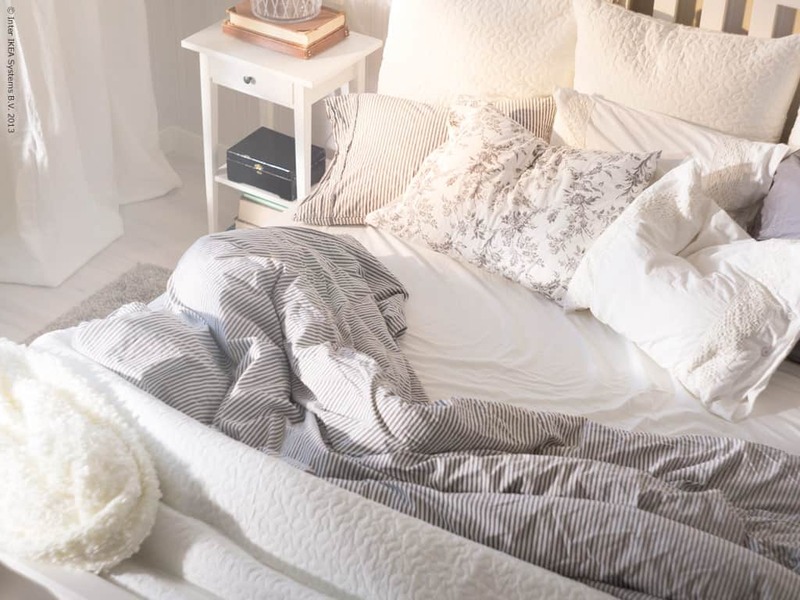 Having a white bedroom does not mean you cannot have color. Instead of having a bold contrast in the room have a neutral palette instead. The neutral shades of taupe, gray, powder blue, and even pink will maintain the room with the white effect but with a simple neutral color palette twist. 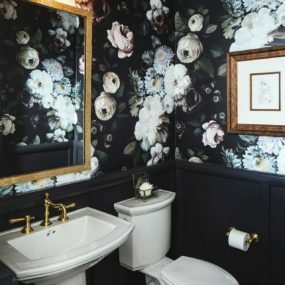 Even when the main focus of the room is white adding a contrasting color such as black will make the entire room appear larger and even more put together. Black furniture will do the trick without having to add too many black items in the space. The beauty of a white palette is that any color works well with it. However, nothing works quite as well as giving the room a hint of contrast by adding black furniture. Although, the rest of the décor may be white the pops of black furniture will stand out and give the room a personal touch. The texture in a white bedroom will be subtle. 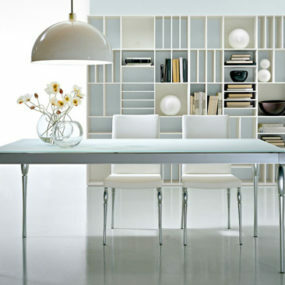 However, when you take a look at the room your eyes will quickly gravitate directly towards those white textured items. 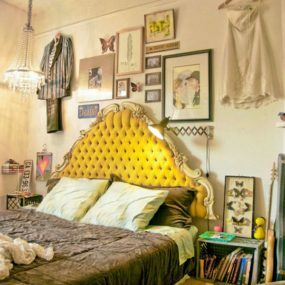 In fact, you will want to have hints of texture around the bedroom for that eye-catching feature. Texture is great, and it works even better with white hues. You can have an all-white bedroom and have textured pieces that stand out from the rest. Add a textured curtain or bedding for a bold yet subtle and delicate twist in the classic space. The powder blue hue is not only beautiful to look at but it is soft, delicate and offers a calming feel in any room. 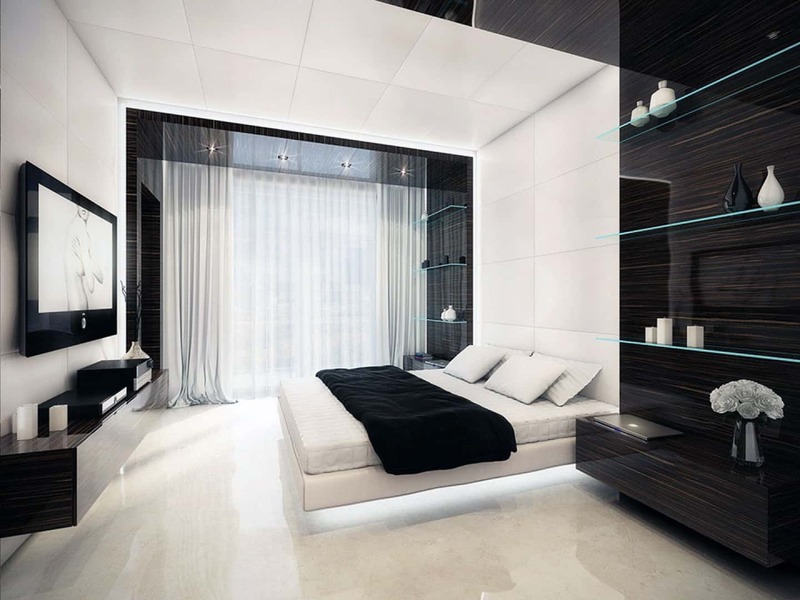 Especially a bedroom that is designed to be feel calming and mainly using shades of white. The blue twist in the room elevates the decor. We recommend having blue walls only if you want to keep the room as white as possible. Powder blue is a breathtaking color. This is mainly due to its ability to work well with all hues. 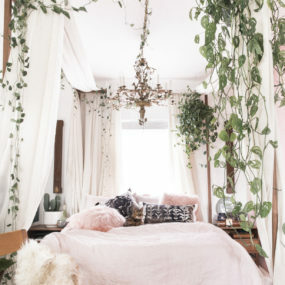 Add a powder blue pillow or blanket on top of your bed for a sweet twist that is captivating in a unique yet subtle manner. You can even paint a wood dresser powder blue for a punch of direct color in the room. The beauty of this room comes from all of the wooden features that are in it. Although they are painted white you get the full effect of them. This is mainly due to there being such a strong wooden feel. The wood is painted white in order to give the rustic feel while still having the room be mainly white. 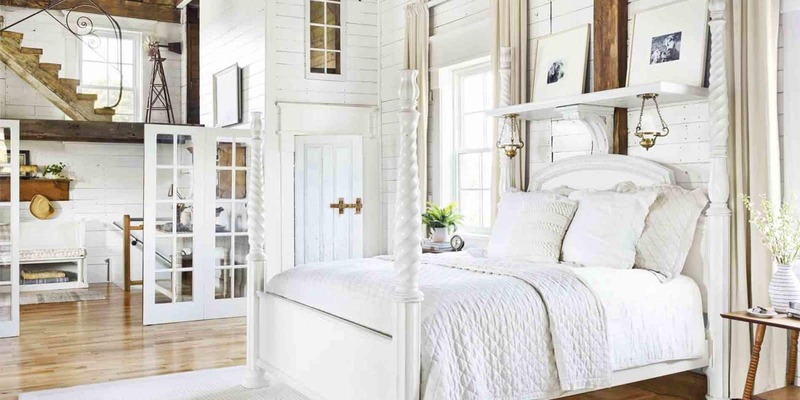 Add a twist of vintage to your white bedroom for a beautiful country feel that is charming. In order to add a vintage rustic twist, you want to have multiple different wood furniture items. You can even have a gallery wall in the room that features quotes, and/or country inspired images. Even though, this entire room revolves around the fact that it is white from top to bottom you can easily spot the intricate shades of white throughout. 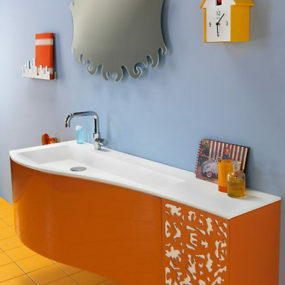 This is done by using various hues of white in different areas of the room. Although the shades will appear similar they will have a distinct difference to them. White comes in numerous different shades. It is one of the colors that has the most diversity in it. For this reason, it is easy to layer different shades of white in one single room. This can be by taking different shades of white and spreading it around the room from the walls all the way to the upholstery on your accent chair the idea is to have a large mesh of shades of white in one single room. Flowers add beauty and charm which is why having fresh ones around your bedroom can make a huge difference. Add a few fresh flowers and have them become part of your decor if you do not want to add color to the room you can always use white flowers instead of any colorful ones. However, we recommend having a mixture of white and color for a soft contrast. In all white bedroom, adding a twist is simple yet adding the correct kind of twist is easier said than done as too much of a bold color can disrupt the relaxing feel of the room. 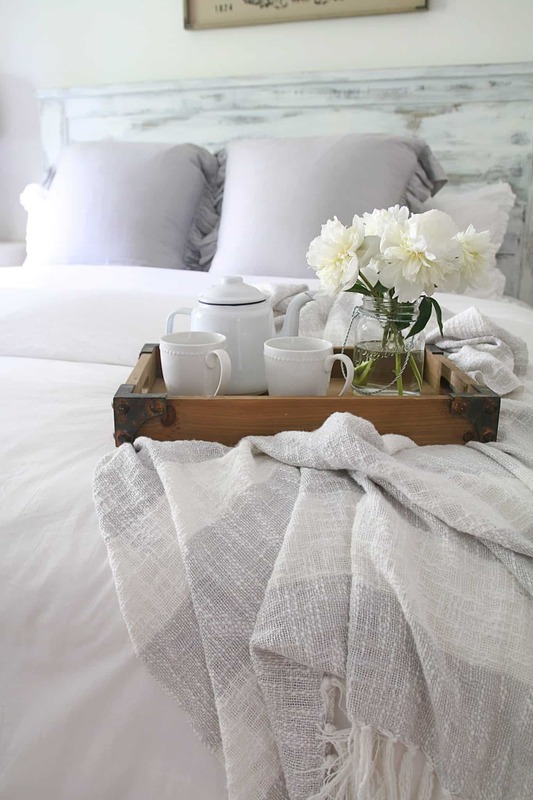 The perfect way to add color to a white bedroom is by adding natural elements such as flowers. Flowers are great because you can interchange them for any color you may like at any time. Consider having pastel tone flowers in different areas of your bedroom for soft touches of color throughout the entire room. 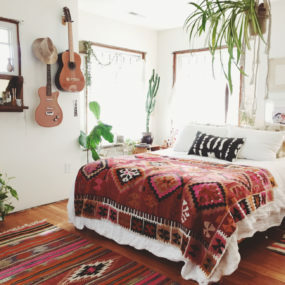 From the patterned blanket to the pattern on the pillow cases, and even the rug. This room is filled with a pattern from top to bottom in order to provide a visually appealing space. In fact, the room appears more personal and put together thanks to those patterns that catch our eye. As stated above white comes in multiple different shades. Therefore, the same concept goes for texture. Mix different white textured items in the room for a focal point in a neutral way. 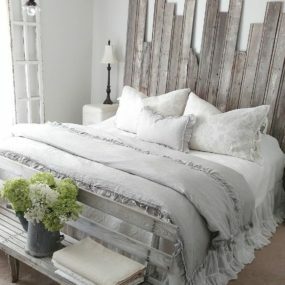 This is a great way of adding a modern touch to your bedroom simply by incorporating 2-3 patterns in one single space. When you first looked at this image your very first look may have been directly to the fur rug. That is because it adds a bold visual appeal to the room which is exactly why a fur rug is very much needed in an all-white bedroom as it helps break down the color scheme a bit. Yes, you read that correctly instead of having an accent chair have a fur chair or any other fur item that catches your attention. 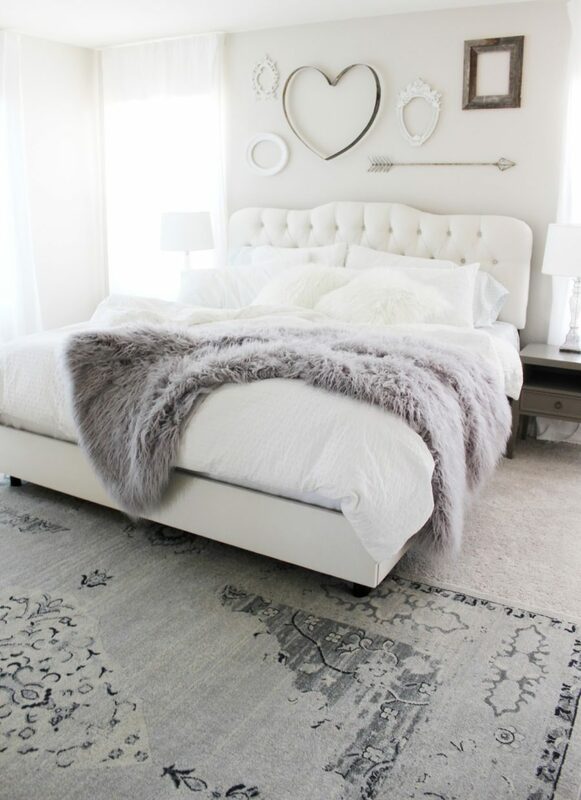 Fur in a white bedroom will elevate the appearance of it and give it an elegant twist. If you decide to add a fur chair it will double as your accent chair because of the texture it provides. Just by having a metallic light fixture in the room you can help expand the space of the room visually. The beauty is created as it adds a hint of texture to the space almost immediately. 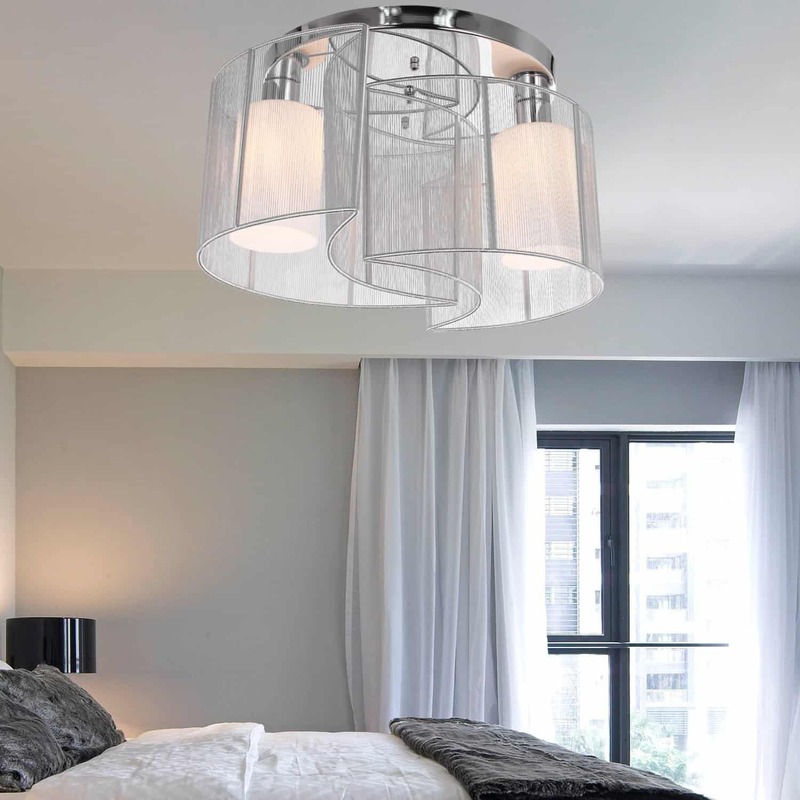 Have a cool lap or chandelier in a metallic shade for a bold light fixture. For a twist that is subtle, yet trendy add a metallic twist to the room by having a metallic light fixture or even metallic door knobs. Although, these are very subtle things they make a huge impact when you are in the room. The idea is to keep the main focus of the room being white, but having little bits of color and texture here and there. Doing so adds the perfect twist in the white space. To conclude, an all-white bedroom can actually be exactly what your home needs for the perfect relaxing space. Which of these will you be adding to your white bedroom décor? Please let us know in the comments below.